We love to host memorable celebrations at the Fork! We have many spaces to fit your vision from elegant and formal to casual and chill. We look forward to working with your wedding planner. We host indoor weddings of up to 100 guests and outdoor weddings of up to 500. Please note that we do not have a large indoor facility so rental of temporary mobile bathrooms, party tents/ tables, and any necessary permits are required for larger gatherings. Sometimes wedding ceremonies are held at one of our outdoor venues and receptions are held elsewhere, and vice versa. 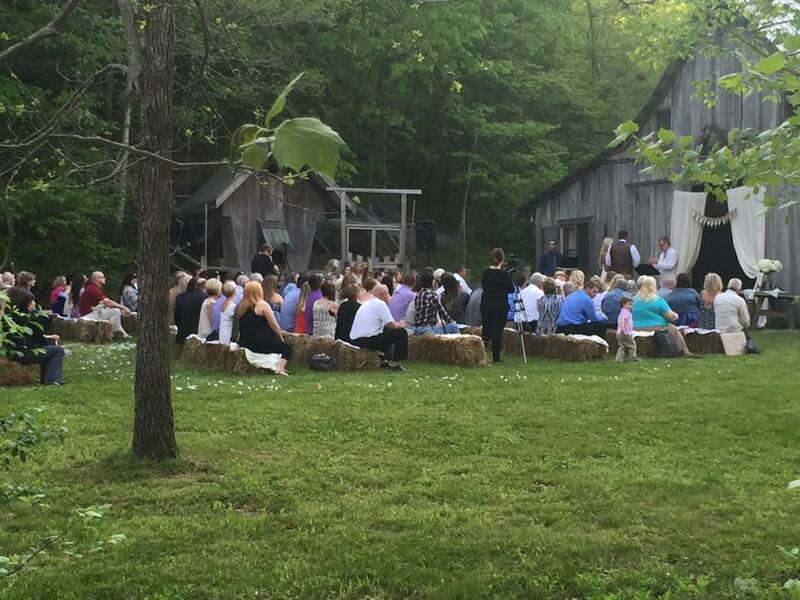 Circle Lodge, Mansion-in-the-Woods, and Big East Fork Retreat are ideal spots for rehersal dinners for members of the wedding party. We also host families and guests who are having their weddings and receptions elsewhere. We also have horses which bride and groom can use to make memorable entrances as well as fast getaways to the Love Shack! If you have any questions please contact us at 615-599-7141. Packages: Prices are subject to change due to the uniqueness of the property and your vision. Significant discounts apply to those who rent multiple houses for guest lodging on site. 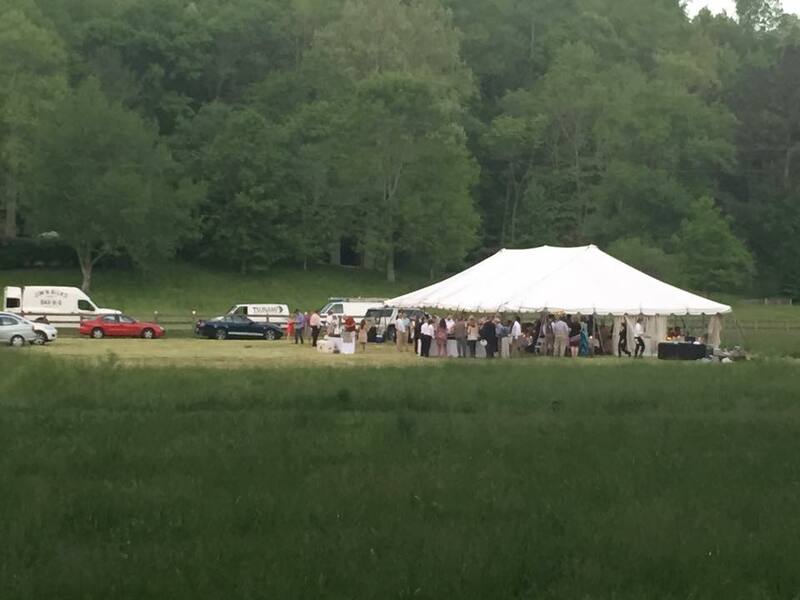 Option to have reception at Pasture by Big East Fork Farm across the street. An event insurance policy must be purchased if you are serving alcohol 615-435-8300 and ask for Rosetta. Abide by all retreat policies. A deposit of 50% is required to hold your wedding/reception date. Full payment required 3 months in advance. No refunds if cancelled less than 3 months prior to your event.